A successful freelancer never stops reading and learning. While you can enjoy, and learn from, almost any book, some are way better than others. Over the years, I’ve come to rely on a handful of great books. I’ve read dozens, if not scores, of books in my quest to be a better designer. Some have been crap – and I’ve thrown them away – while others have earned an everlasting spot on my bookshelf. While I wouldn’t run into a burning building to save those books, I would re-buy them as soon as the insurance company paid up. Of the books in my library, those listed below are the absolute best. The Elements of Style (William Strunk Jr.): This small book is only about 100 pages long, but contains everything you need to know to write grammatically correct material. Buy it, read it and study it. Editors and publishers will love you for it. The Writer’s Complete Fantasy Reference (Various Contributors): This book has been called an “indispensible compendium of myth and magic.” In my opinion, that’s an accurate description of its contents. Of course, it’s not the final word on fantasy writing but it contains a vast amount of useful information for a designer. It’s an extremely handy reference. 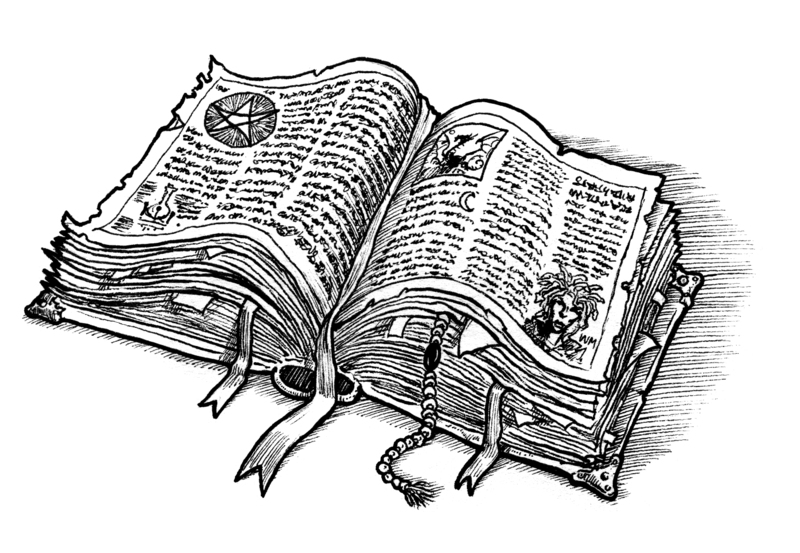 Thesaurus & Dictionary: A decent thesaurus and dictionary are indispensible – as a designer, your stock in trade is words. I’ve got a gigantic Collins Thesaurus. The book is so big you could beat a sheep to death with it. I’m not suggesting you should use tons of old and archaic words, but a decent thesaurus is a treasure trove of evocative, atmospheric words. A twin to my gigantic thesaurus, my dictionary is also by Collins. I much prefer these books to using an online resource. There is something rather satisfying about leafing through a book this size. Complete Kobold Guide to Game Design (Wolfgang Baur): A compilation of three earlier releases this book features 40 well-written, thought provoking essays on a variety of aspects of game design. It contains practical advice for designers and GMs and is well worth the price. These books may, or may not, be relevant to you. It depends on the kind of project you are working on. The Kobold Guide to Worldbuilding (Wolfgang Baur): This book might not be immediately relevant to all designers, but it’s a cracking read for GMs building their own campaign world (or obviously designers creating a new setting). The Time Travellers Guide to Medieval England (Ian Mortimer): If you want to add authentic details and verisimilitude to your work – and you are working in a medieval or quasi-medieval setting – this book is absolutely invaluable. As well as providing a mountain of facts and details on the medieval world, it is extremely well written and very readable. So that’s my list of really useful books for freelancers. Most are quite inexpensive and well worth the investment. All are easy to track down. Have I missed any other great books? Is there something I really need to read? Let us know in the comments below and help your fellow freelancers discover a cool new book. Thanks for posting this, Creighton. I am getting the Complete Kobold’s Guide to Game Design as we speak! I second Mortimer. He also did one for the Elizabethan period with a lot of usable material for most ‘mediaeval’ fantasy. Tons of fun in The Medieval Underworld by Andrew McCall. Practicalities and period detail in Medieval Travellers by Margaret Wade Labarge (among other titles). Sourcebooks on myth and folklore, and as much of the actual literature as you can fit.